Fort Worth ISD is offering free medical examinations to middle and high school student-athletes Saturday, May 4, 2019 at the Wilkerson-Greines Activity Center, 5201 C.A. Roberson Blvd. Students taking a District athletic course or in interscholastic athletics the 2019-2020 school year are required to take a medical exam. 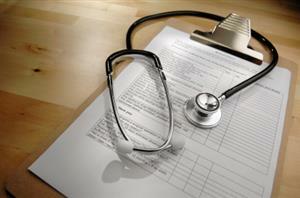 Local physicians and specialists are conducting the comprehensive physical exams. District buses will transport all participating students from their home campus. No drop-offs or pickups will be allowed at Wilkerson-Greines to ensure student safety and security. Students may obtain a UIL Pre-participation Evaluation-Medical History/Physical Examination form at their home campus. The form must be entirely completed and signed by a parent or a legal guardian for the exam to be performed. Students must bring the completed and signed form to board the bus to Wilkerson-Greines. Athletic gear such as shorts, a T-shirt and athletic shoes, and if applicable, eye glasses or contact lenses, is required attire the exam. Female athletes are asked to wear a sports bra or tank to under their T-shirts. Examination forms and additional details are available at www.fwisd.org/athletics.